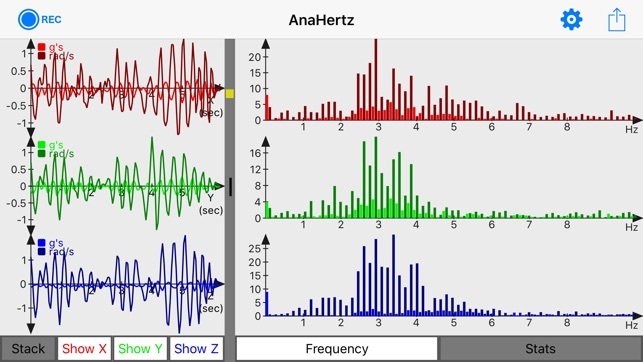 AnaHertz is a useful application that gives you access to the sensors built into your iOS device. 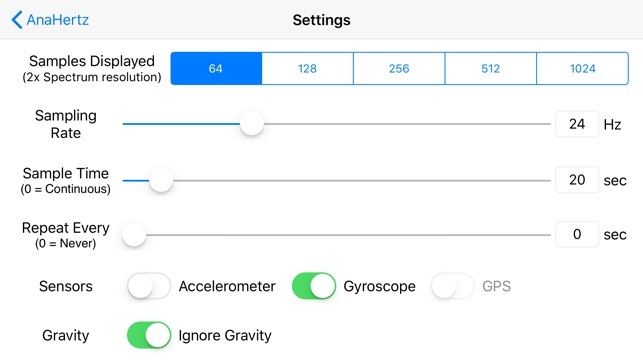 This application provides you with simple controls to capture and analyze linear acceleration and angular velocity. 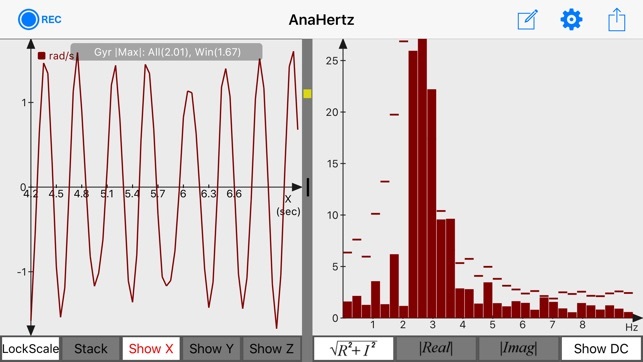 AnaHertz captures and plots sensor data on either individual graphs or combines data plots onto a common graph for easy comparison. 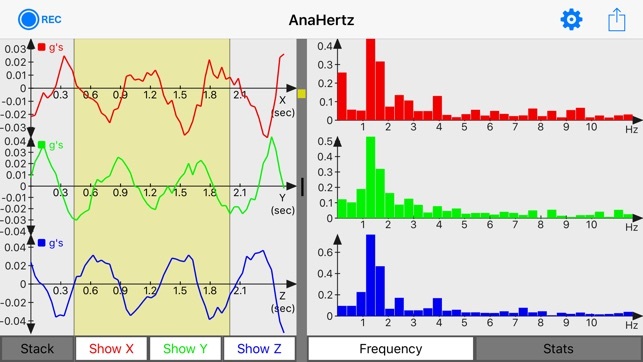 Frequency spectrum analysis plots are dynamically generated while data is being collected or while you scroll through the data after collection. 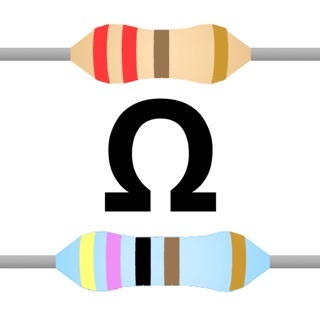 In addition, specific ranges of time can be selected for focused analyzes using the analysis band. 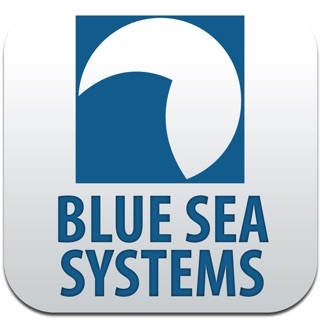 Additional options include specifying sampling rate, sampling time, sample repeat times for periodic sampling and more. 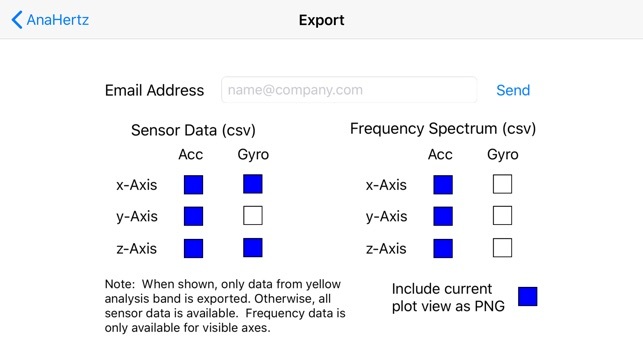 Sensor data and FFT spectrum data can be exported via email along with a screen shot of the graphs.